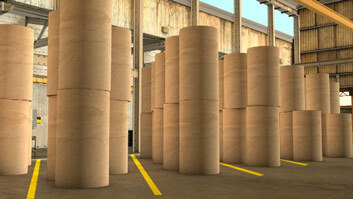 Every day, thousands of paper rolls are shipped around the country by commercial trucks or railcars from paper facilities to be used in a variety of paper-related products. 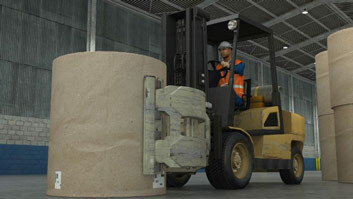 This course will cover the standard procedures, techniques and safety practices associated with loading paper rolls into railcars. 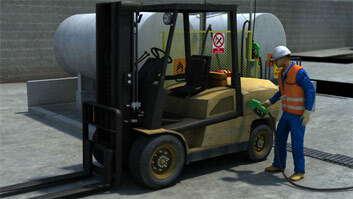 What should you be looking for when inspecting a railcar before loading it? Railcars should be checked for sturdy, clean, dry, hole-free flooring. The floors and walls should also not have any nails, bolts or protrusions which might damage loaded rolls. What are common types of dunnage? 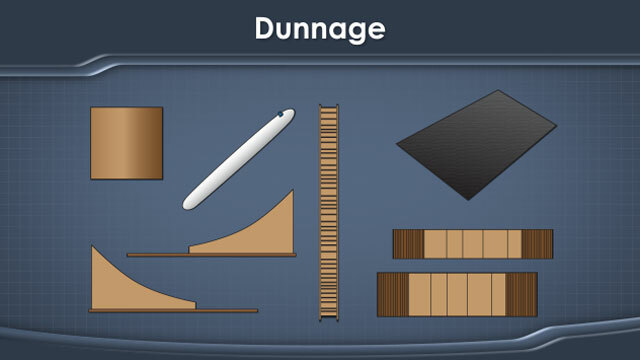 Dunnage includes corrugated fillers, risers, rubber mats, tapered roll wedges and inflatable air bags. What are common railcar sizes? 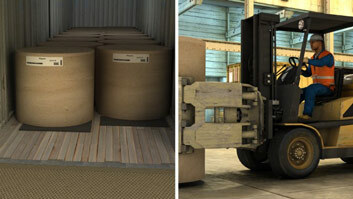 The railcars typically used by paper mills are either 50 or 60 foot long, high cube or standard box. T-loading is the term used for placing a roll on its side, or "bilge position", on top of the rolls set on the floor of the railcar. Dock plates are reinforced steel plates used to span the gap between the dock and railcar to support loading clamp trucks. 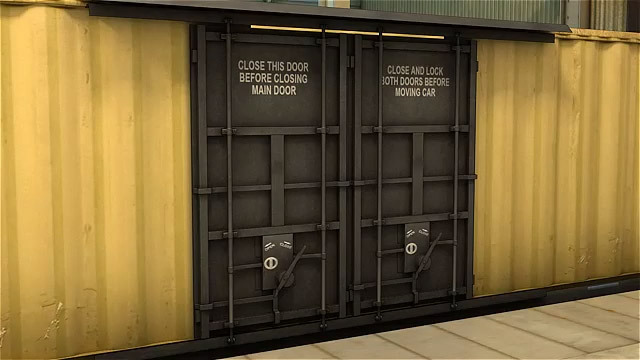 When a rail car is ready to be loaded, visually inspect the car door for damage. Check to see if any parts are missing, broken, or disengaged before opening. When opening the doors, be sure to keep your feet on the dock and one arm braced against the door to avoid falling into the track well. 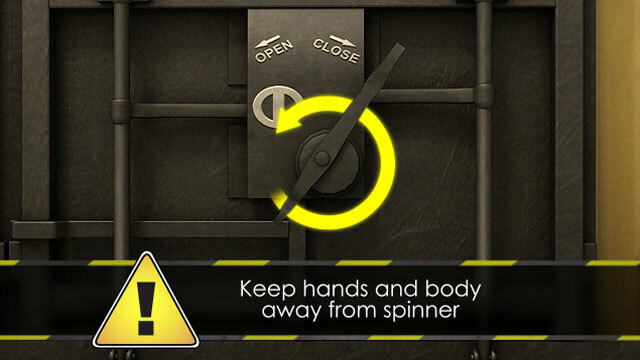 Keep your hands and body away from the spinner on the locking latch to avoid being struck when the latch is released. Push the doors open rather than pulling to avoid back and shoulder strain. 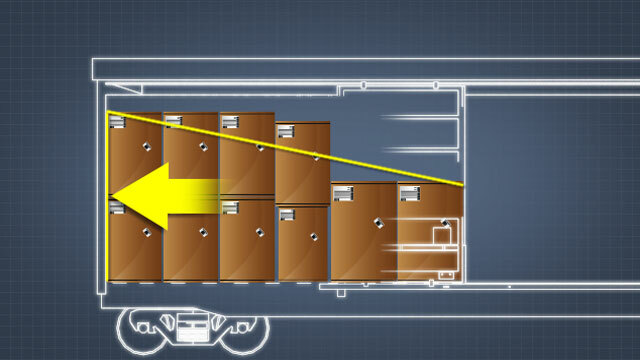 Be careful not to place your hands in the pinch point between the rail car door and the exterior wall of the rail car. Ask a coworker to help with any rail car door that does not open easily.